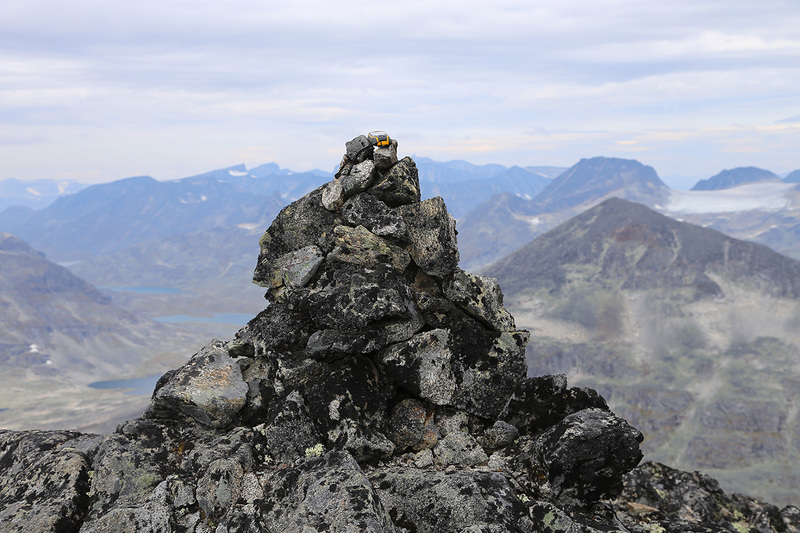 This peak is located in Jotunheimen. One can start from the tourist hut Leirvassbu, having access south from the road across Sognefjellet, or from the tourist hut Gjendebu served by boat from Gjendesheim on the Valdresflya road. One may also start out from Eidsbugarden at the west end of lake Tyin. The closest hut is the self serve DNT hut Olavsbu. One option would be to hike to this hut, then climb the peak from there. 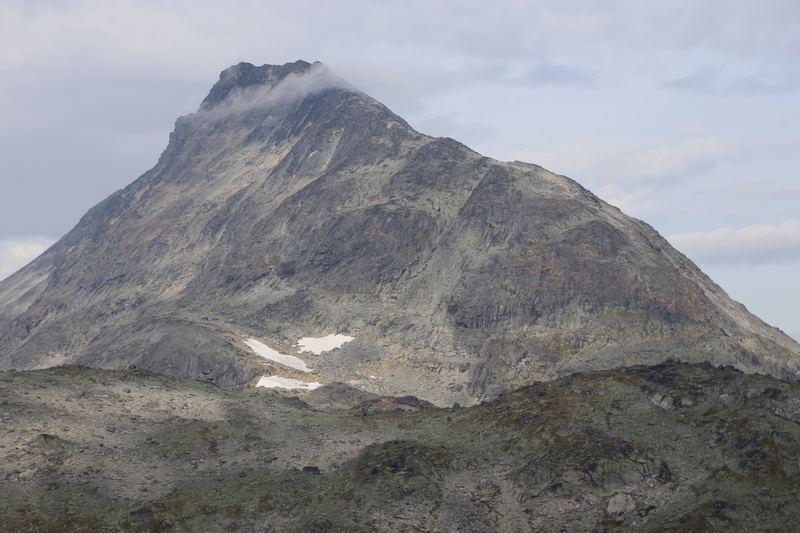 Alternatively, a long approach hike, then possibly using Olavsbu for the night after the climb. 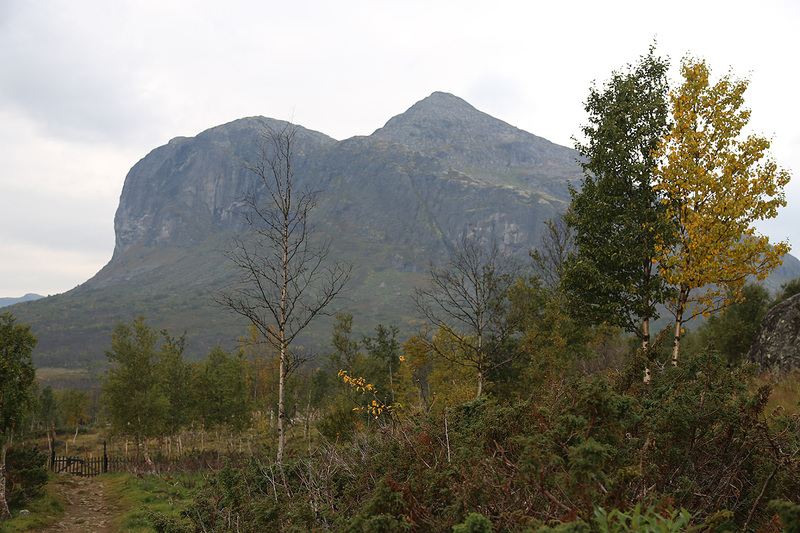 The peak is best to climb from the north side, that is one should get to the south side of lake Skarddalsvatnet. 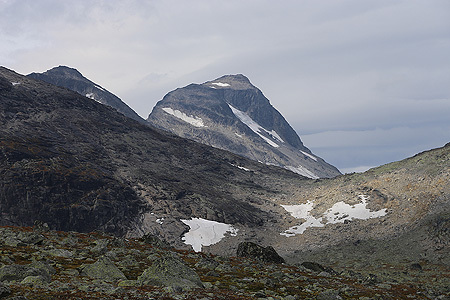 From Olavsbu, one can follow the trail (north) towards Leirvassbu. This trail immediately turns the north-west ridge of Store Rauddalseggje. Shortly thereafter, leave the trail (right) and hike on easy ground to the col just south of point 1812. Descend to lake 1500. There is a small glacier here (may be melted away in a few years). In the summer, this is just ice and crampons (and an ice axe) are needed. 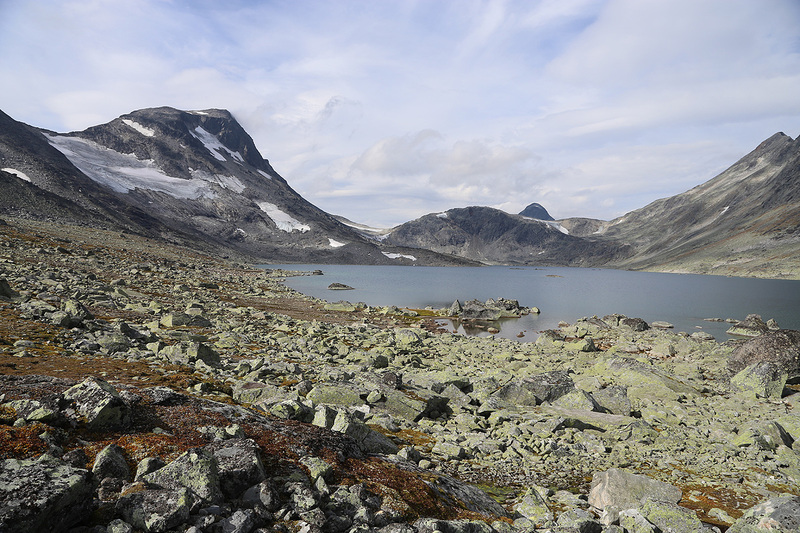 Continue to Skarddalsvatnet and hike along its south shore until you are just below the glacier that is located below the col between Store Rauddalseggje and Midtre Rauddalseggje. Note that it does not pay to cut across in order to save a little distance and elevation, you will run into complex, big boulders that will slow you down. Thus, make the route go down to the two lakes. From the lake, there are two possibilities. 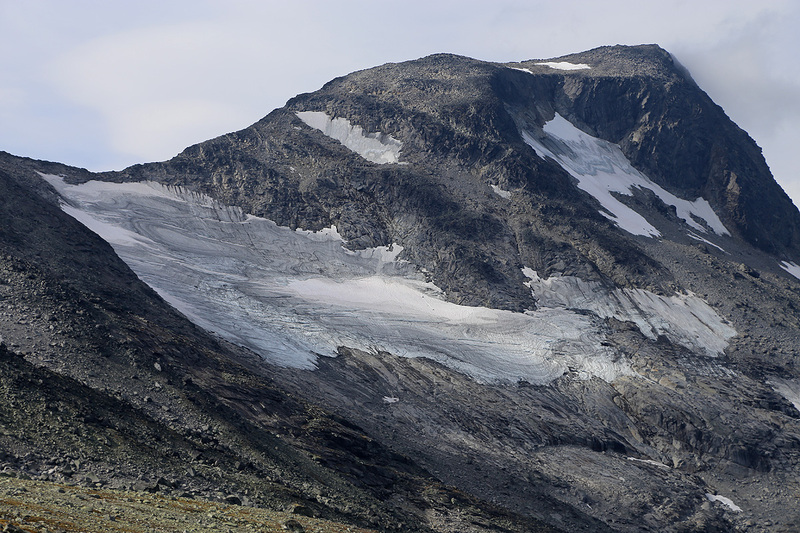 The traditional route runs up the ridge on the left side of the glacier, to the summit of Midtre Rauddalseggje. An alternative is to ascend on the glacier, avoiding a long slope with more or less stable rocks. This require crampons and an ice axe in late summer. In early summer, one may walk in the snow on the glacier. This glacier still has some crevasses, they are easily avoided in late summer and mots likely no real problem earlier in the season. From the col, turn right and scramble along the ridge. The easiest route stays pretty much on the the ridge, slightly left in a steeper section fairly early (then climb right). Higher up, stay on the ridge or slightly right when this provides an obvious route. The distance to the summit is a bit longer than one thinks, but there are no difficulties in the upper part. 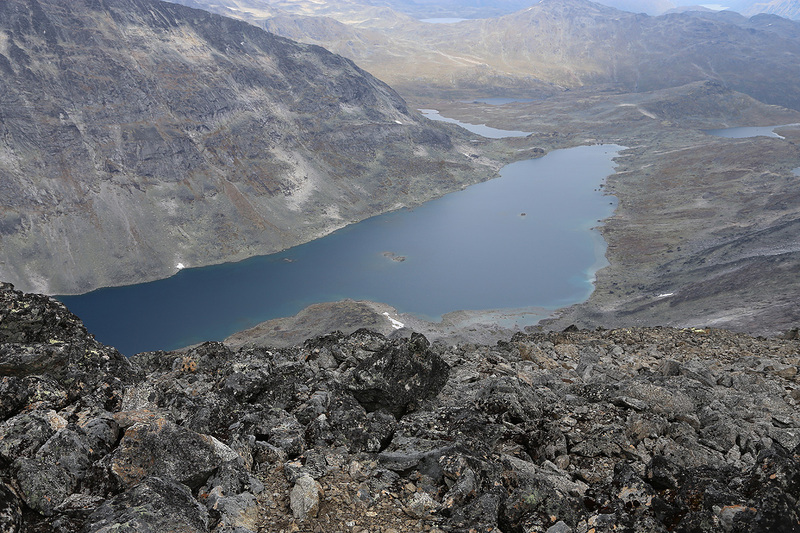 I started from Gjendebu around 0830 and took the trail that ascends the local peak Gjendetunga. 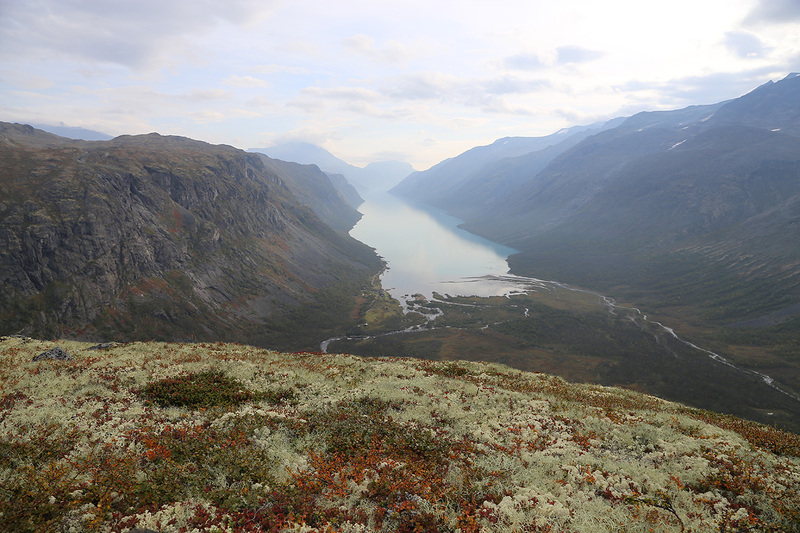 This trail has a very good view of lake Gjende. Next, I continued across nice terrain to lake 1402. Gradually, my climbing goal came into view. I crossed the small col on the north side of this lake, this brought me nicely to the the south side of lake Skarddalsvatnet. 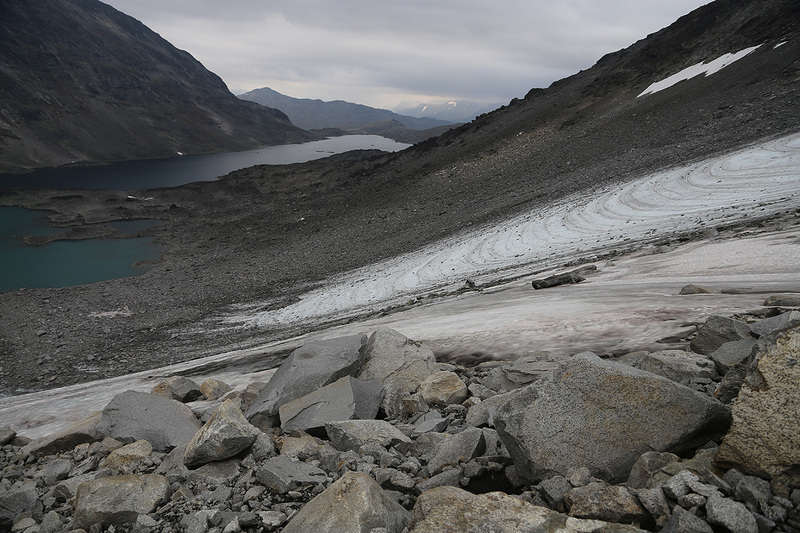 Thus, after 5 hours of hiking, at 1330, I was finally at the lower end of the glacier. I put on crampons and ascended easily on blue ice with some zig-zags to avoid a few crevasses. I left the ice axe and my crampons near the upper col and scrambled up some easy rocks to reach the col. The scramble up the ridge went fine and I arrived at the nice summit shortly before 1500. After about 10-15 minutes on the top, I started on my way back down. To my surprise, I met two parties while descending, they were late, in particular the the team that came from Leirvassbu and intended to return there today. My descent went quite smoothly. However, I next tried a traverse in order to save myself a little vertical, across towards the col that I needed to get across. This was a big mistake, I ran into large boulders that slowed progress considerably. Finally, when I reached the small glacier below the col, it became clear that I needed my crampons again. This glacier looks a bit miserable. Water is running almost everywhere on top, the surface is ice, no way to walk up here with only boots. The sheet of ice is not thick, I think this ice will soon be history. The rest was easy, but I could feel that yesterdays 12 hour effort started to feel. 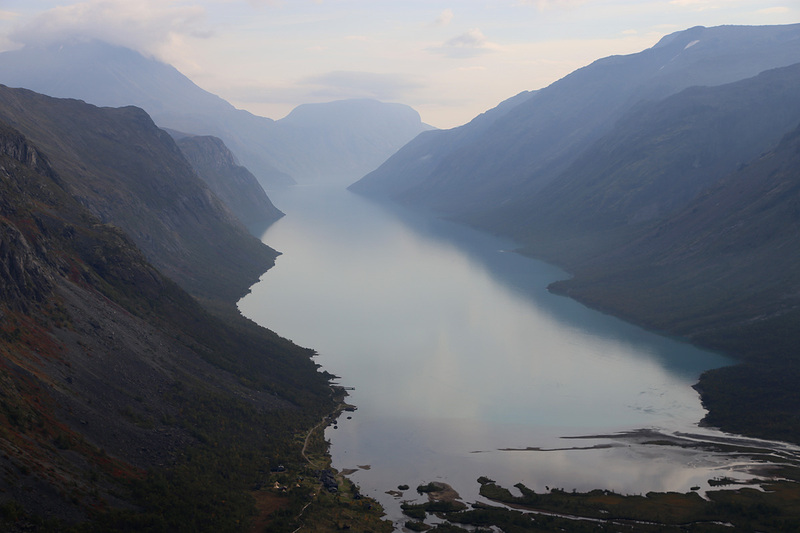 It was 1930 when I got to Olavsbu, 11 hours, a very long and very memorable day in Jotunheimen. 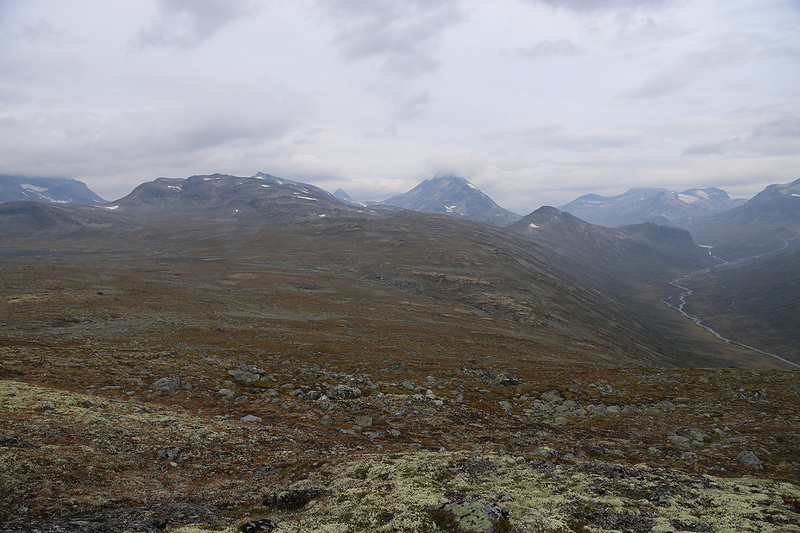 The next day, I strated at 0900 and had a leisurely hike back to Eidsbugarden. This trip took 5 hours followed by a 4.5 hour drive. Heidi was waiting in Bergen with a nice Sunday dinner. Gjende, from the morning climb on Gjendetunga. Skarddalseggje, 2159m almost equally high.